View cart “Liquorice Root” has been added to your cart. 100% pure natural coconut oil. Supplement for horses, dogs, cats and birds. 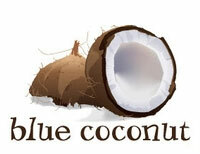 People have used coconut oil for generations as a health food and natural healer, with documented success. It can improve digestion, clear up skin problems, boost energy levels, aid in weight loss, fight infections, balance blood sugar and bring improvement to numerous other conditions. Those in the racing industry, and pet owners, are discovering it delivers the same benefits for their animals. Is easily digestible and aids digestion. May benefit horses prone to colic, tying up, laminitis, ulcers and acidosis. Assists with elimination of mudfever and greasy heel. Coconut oil is stable and resistant to rancidity so can be stored for long periods of time . It can be used topically for treating cuts, stings, bites and infections.